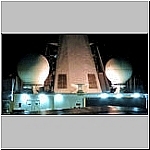 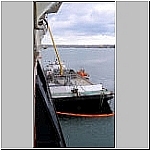 Fueling the ship. 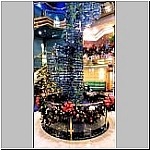 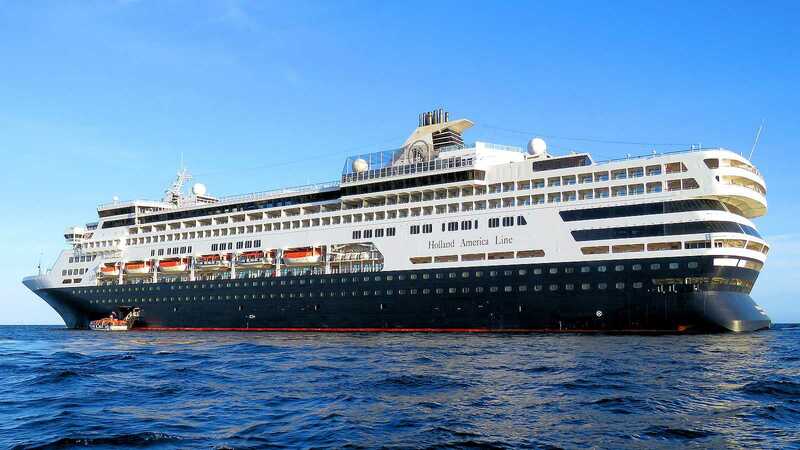 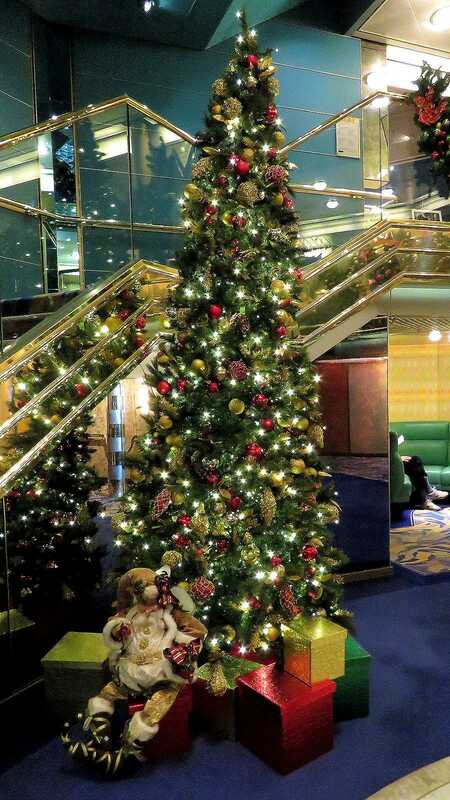 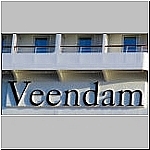 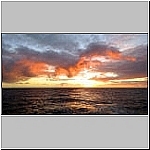 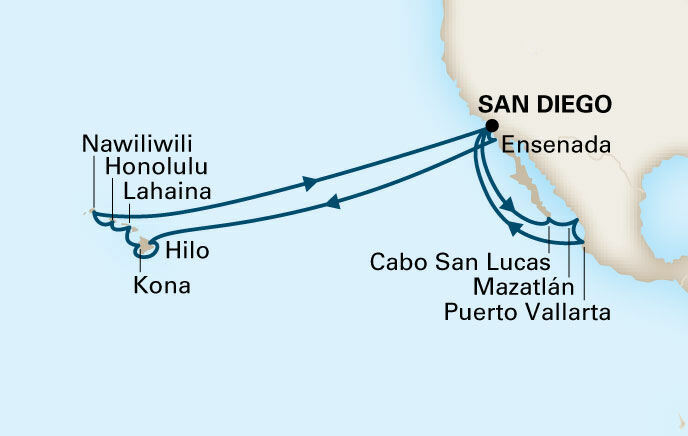 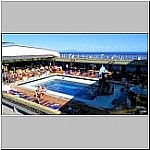 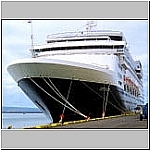 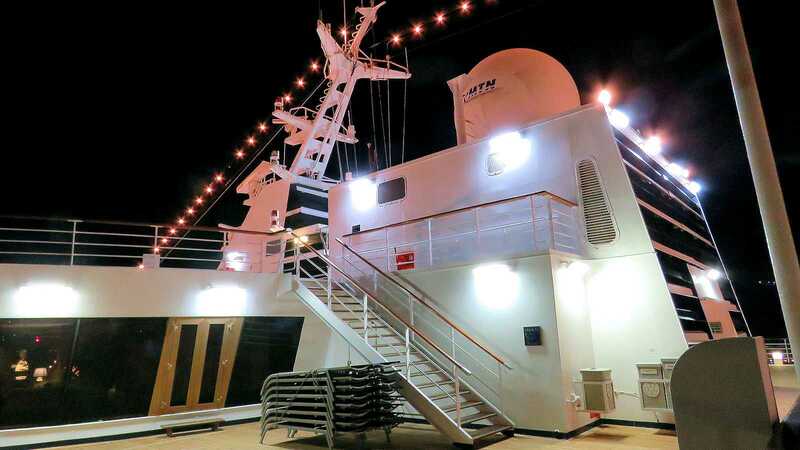 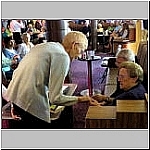 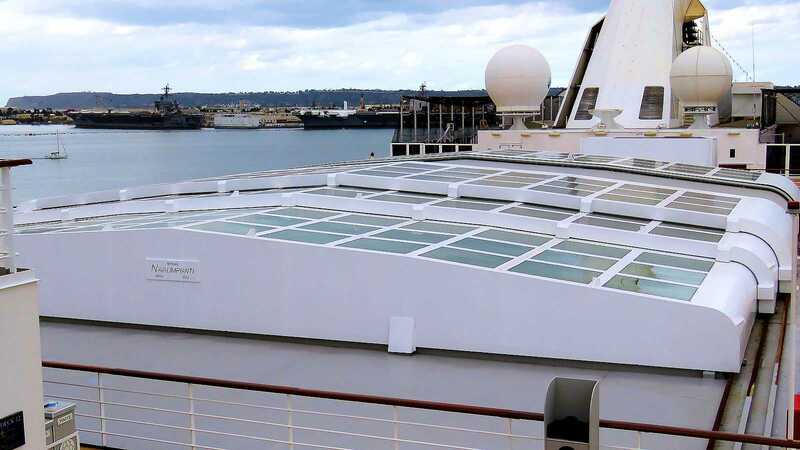 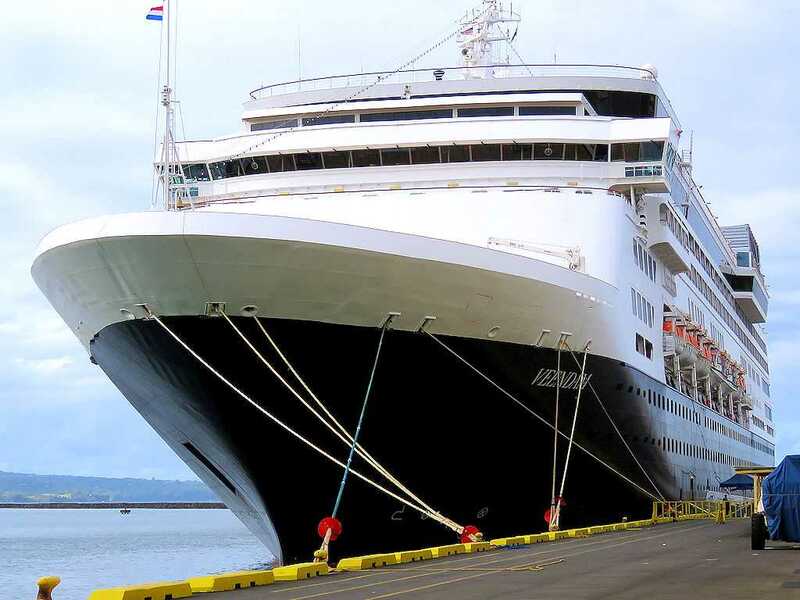 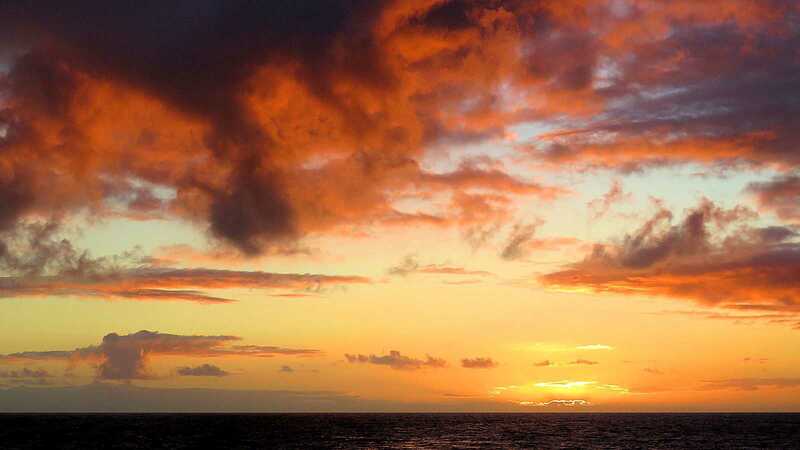 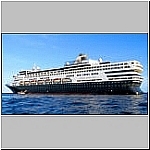 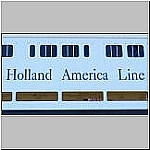 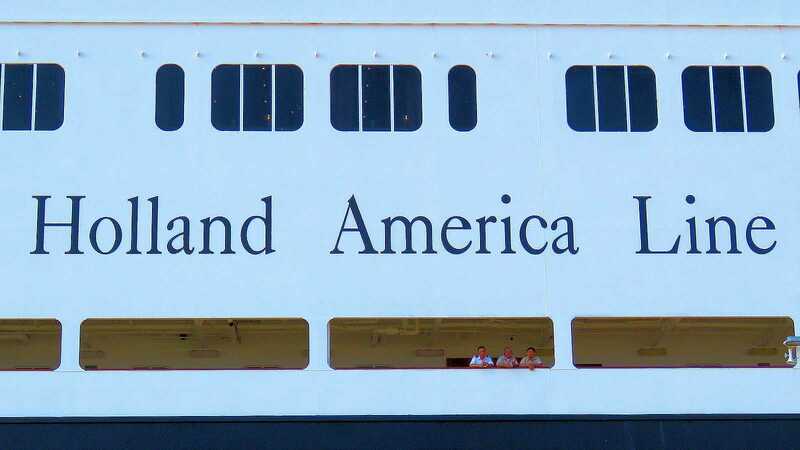 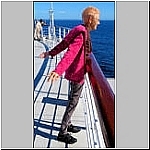 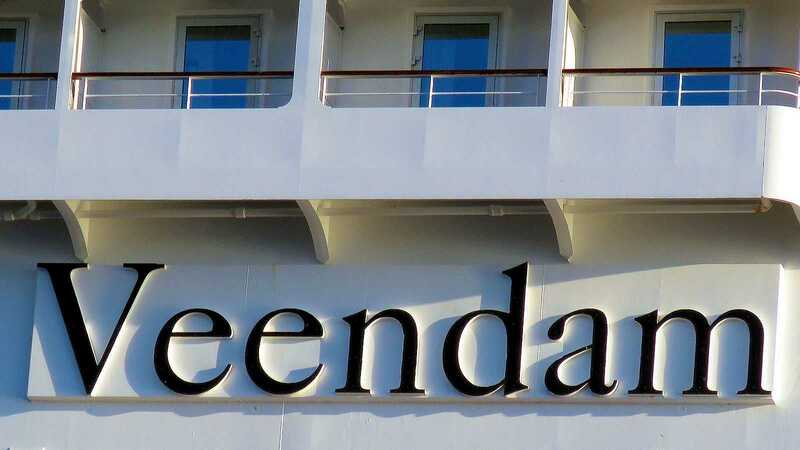 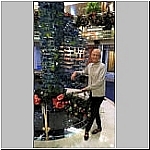 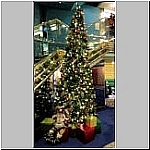 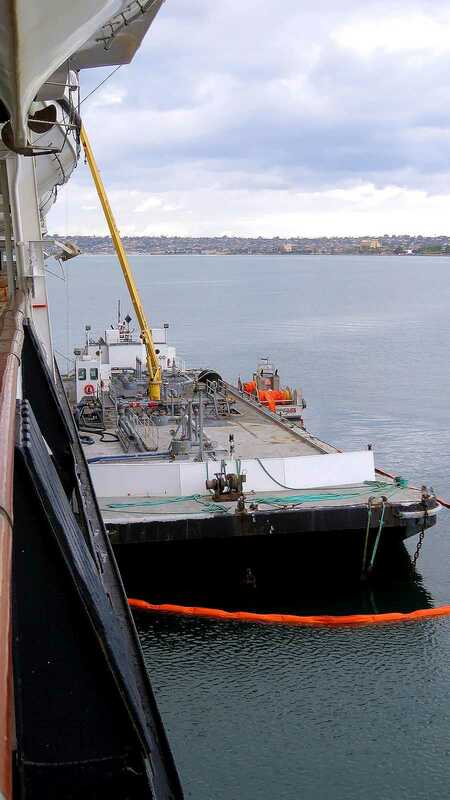 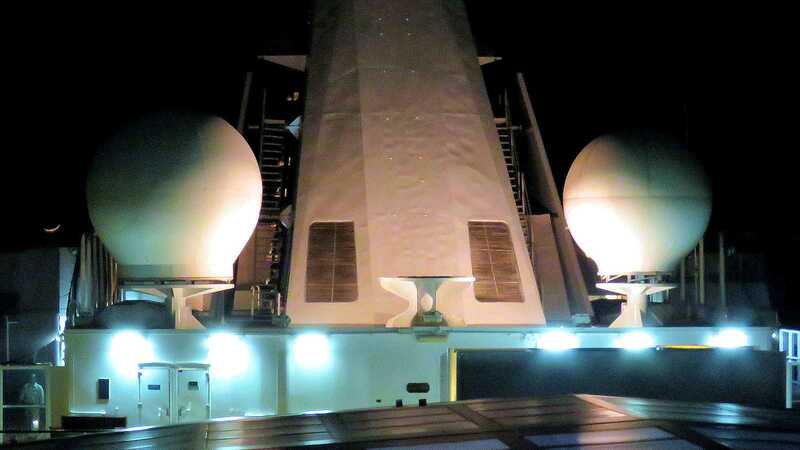 Note that the Veendam used 72 tons of fuel daily! 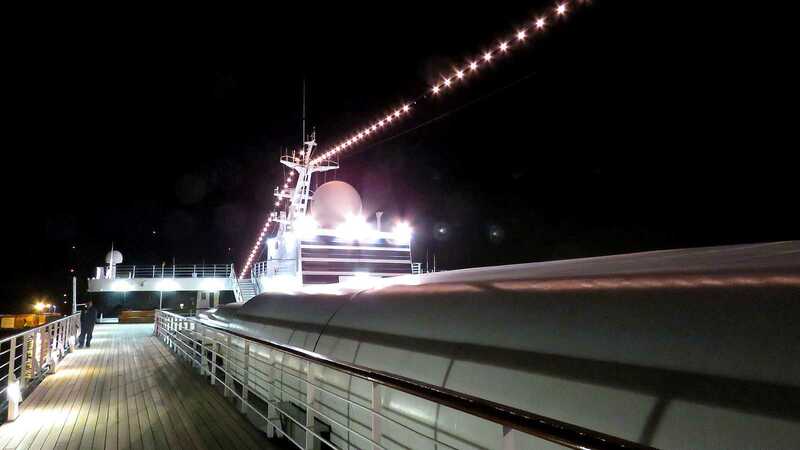 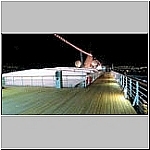 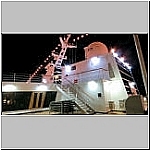 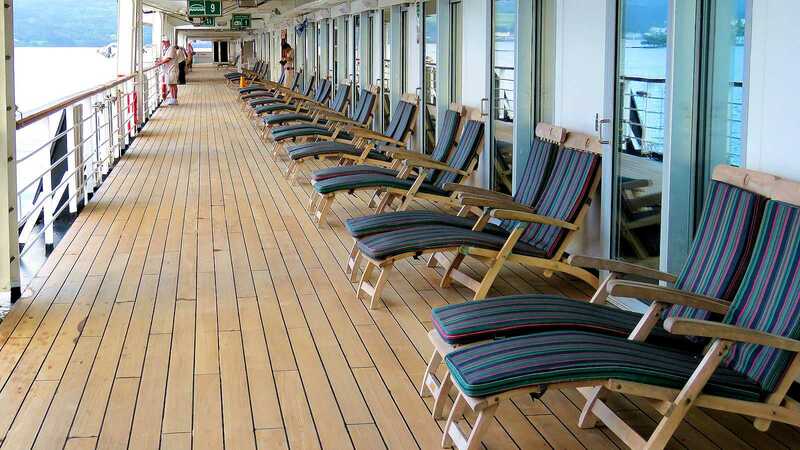 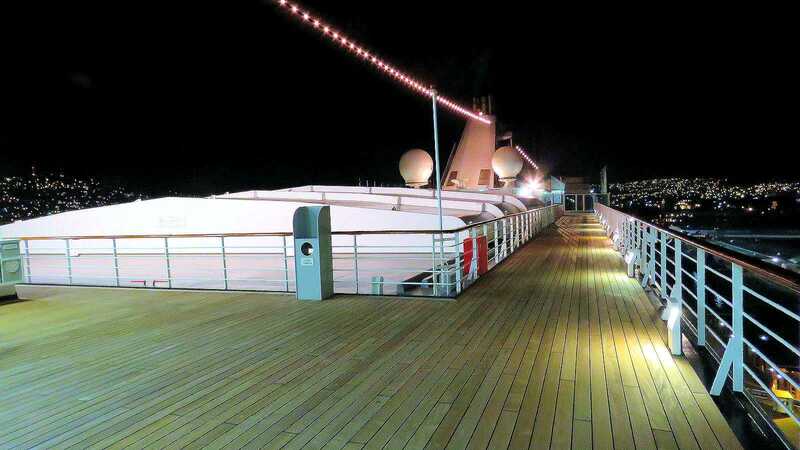 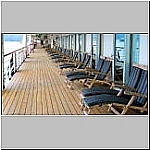 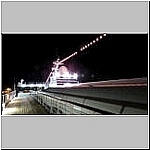 The promenade ~ 6th deck. 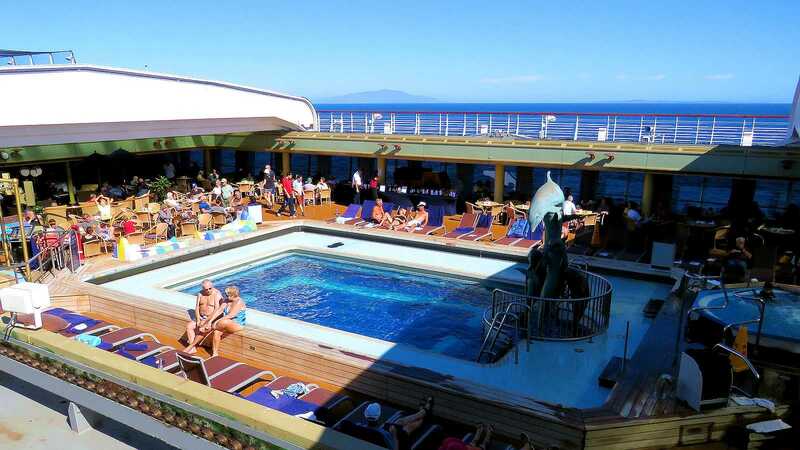 The pool with its roof open. 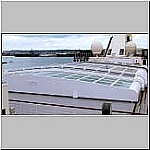 At night or in bad weather the pool's roof was closed. 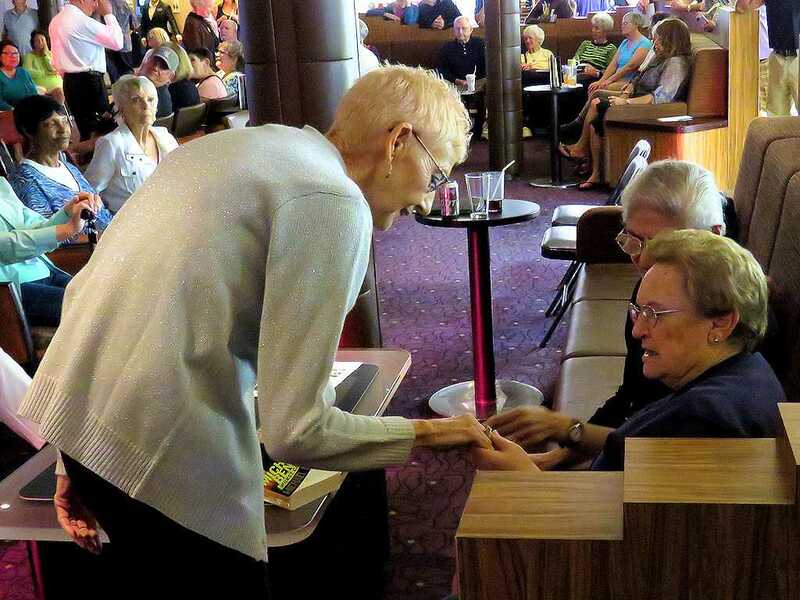 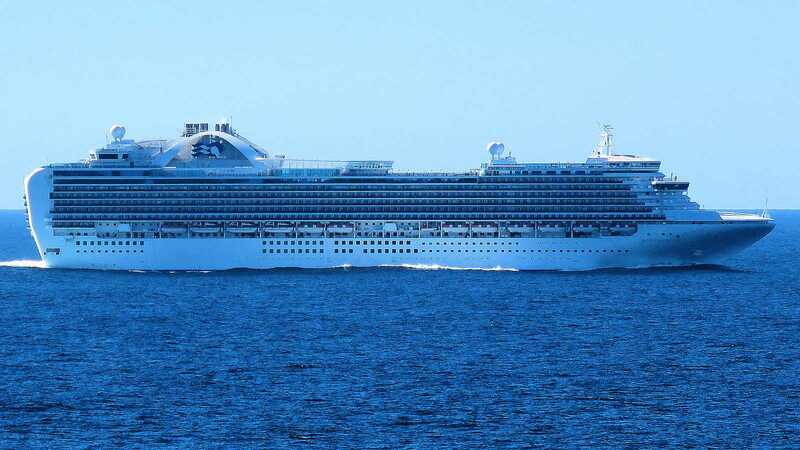 This Princess Line ship was a long, long way away. 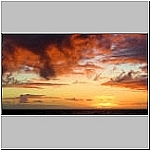 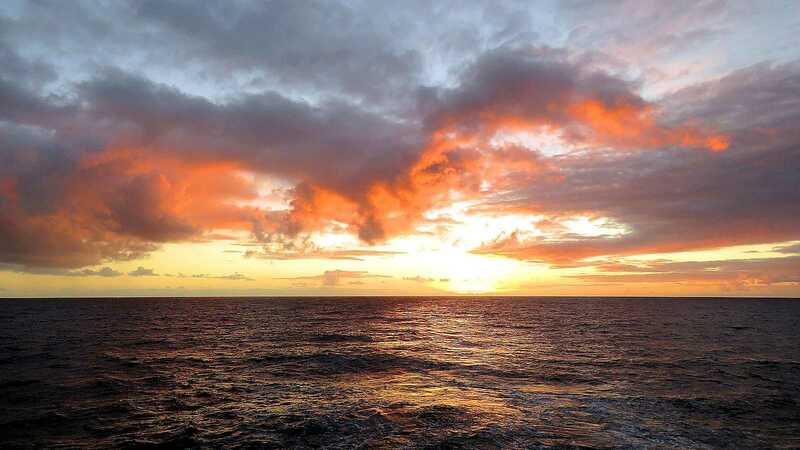 I used the 65X setting on the camera to capture this picture. 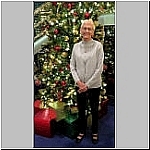 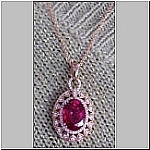 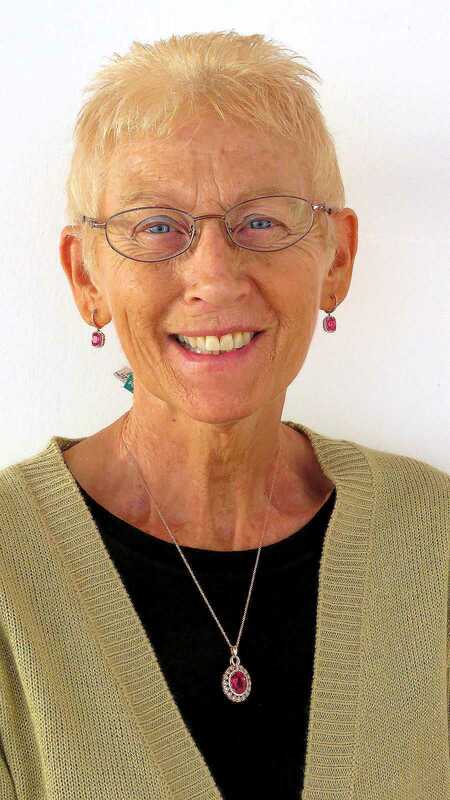 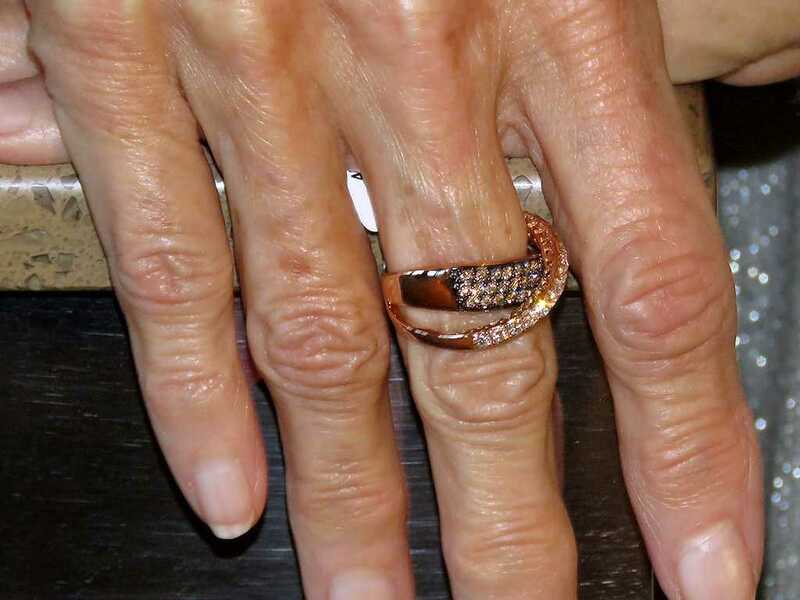 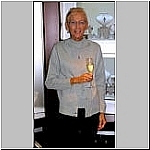 Bonnie signed up to model during a jewelry show. 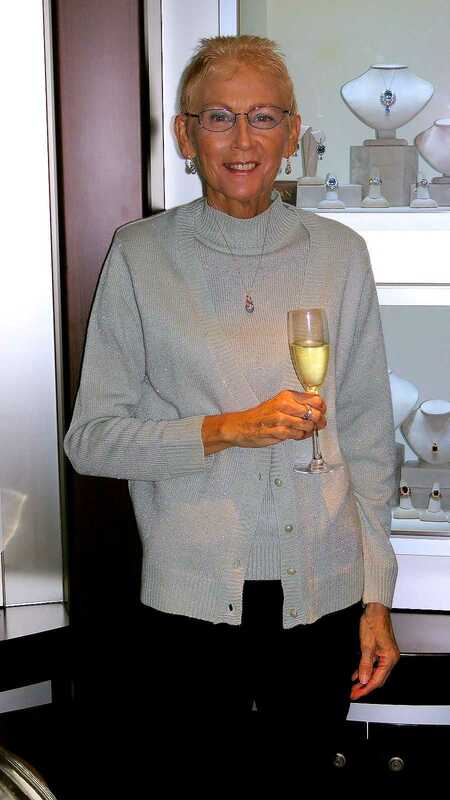 Modeling a necklace and earrings. 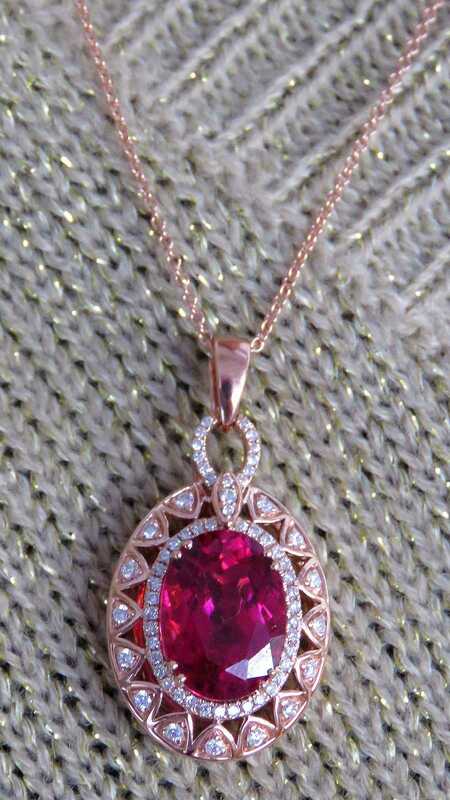 $22K diamond & rubbellite necklace. 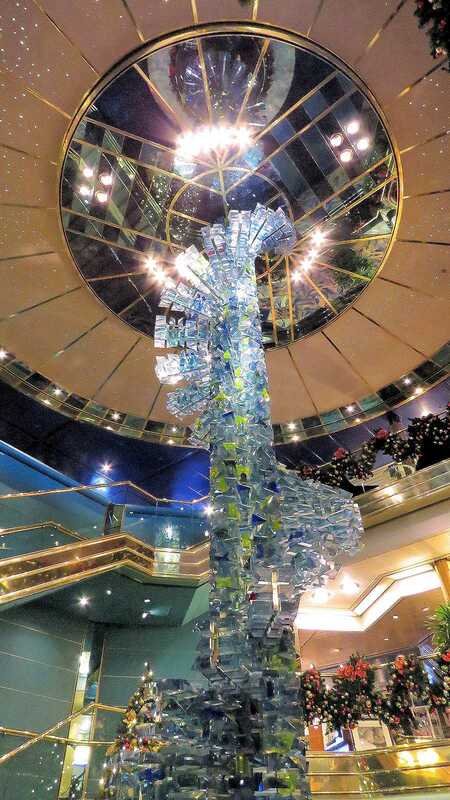 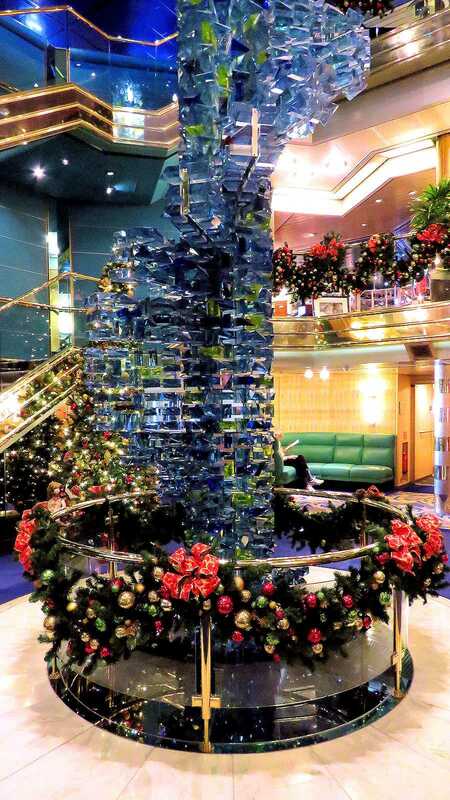 The top half of the mid-ship atrium sculpture. 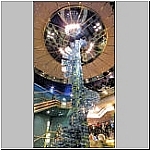 The bottom half of the sculpture. 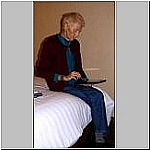 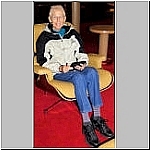 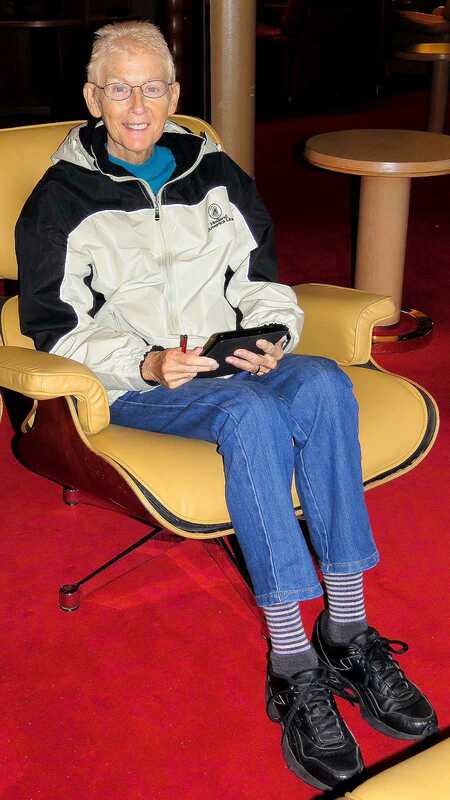 More freecell, in the library this time. 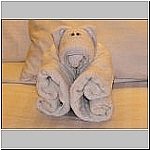 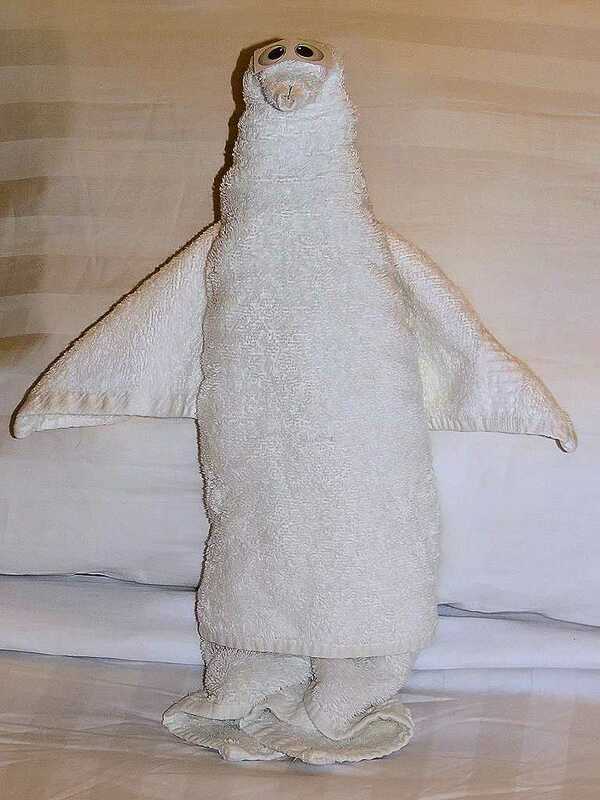 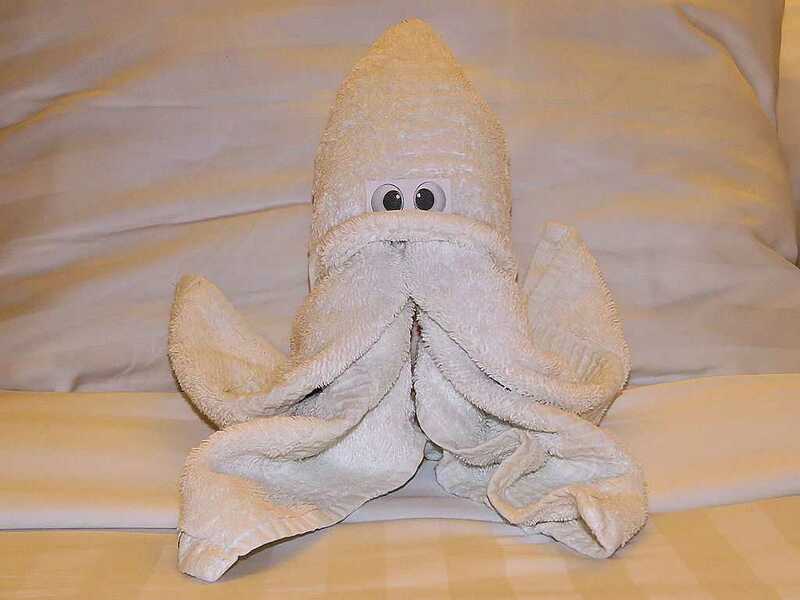 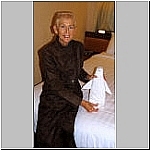 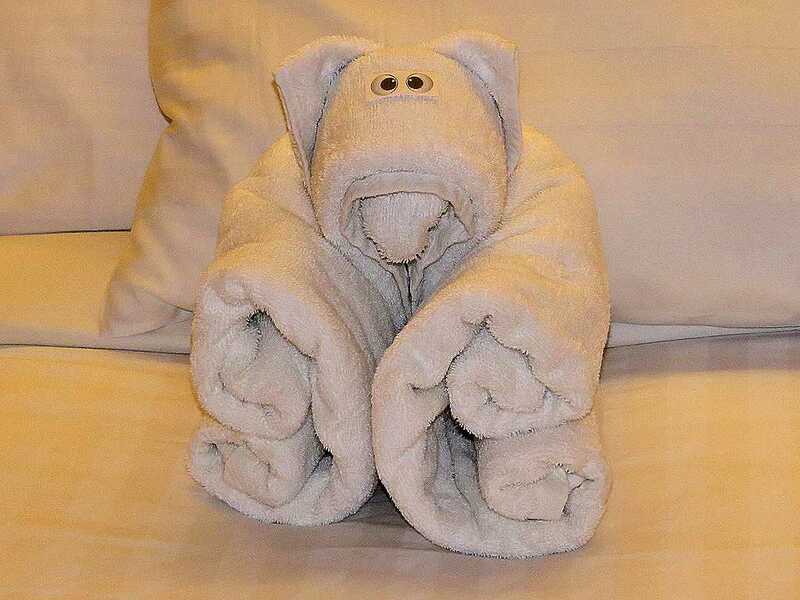 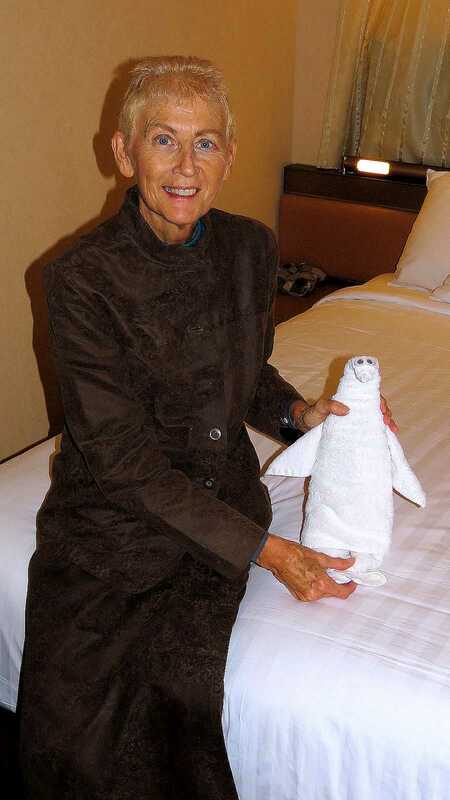 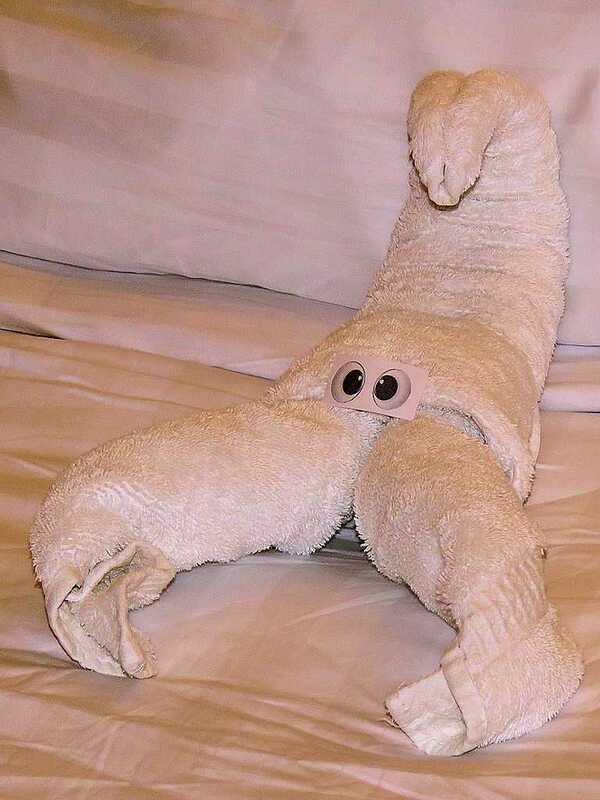 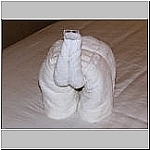 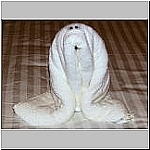 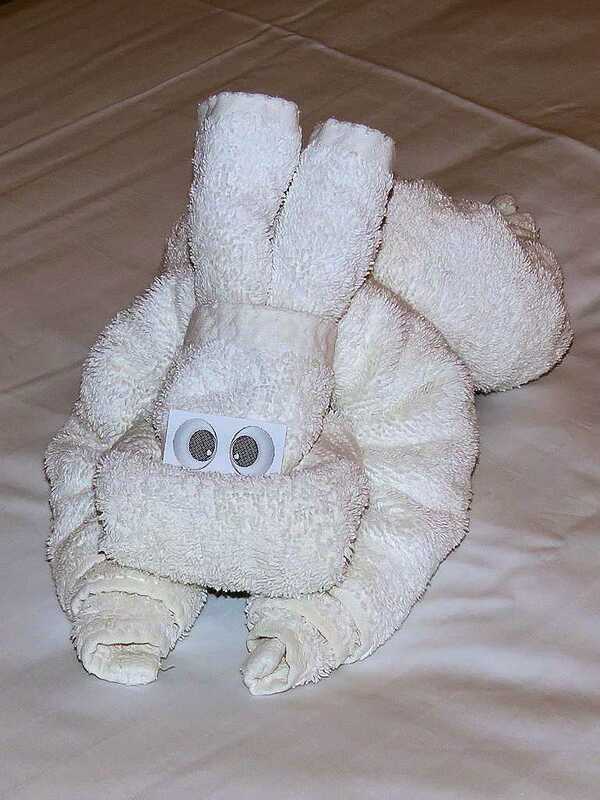 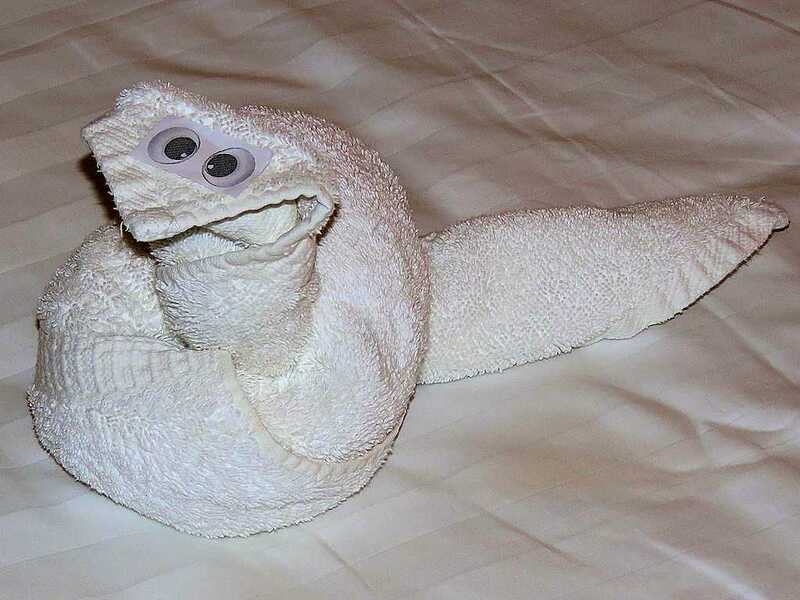 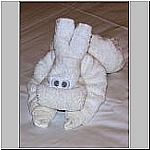 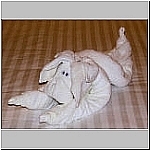 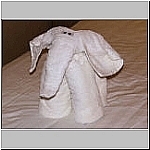 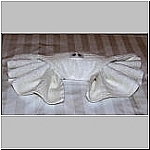 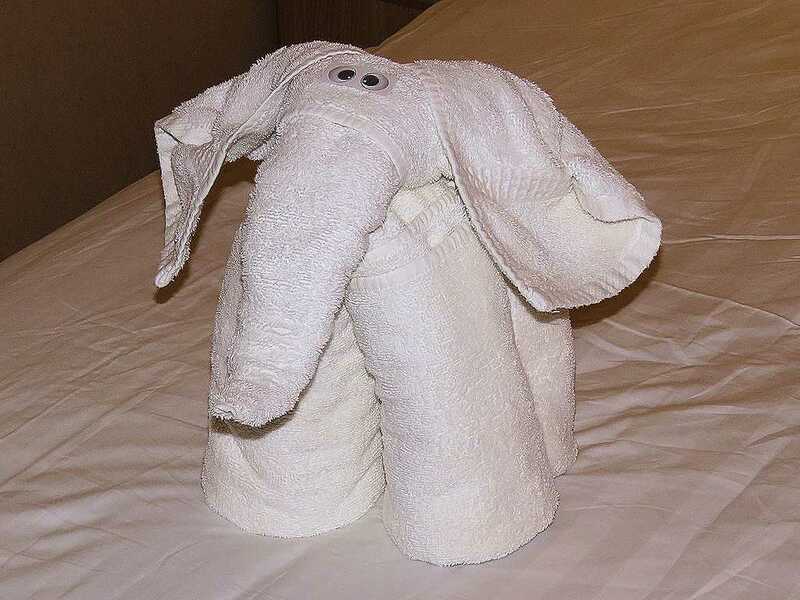 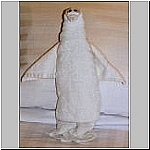 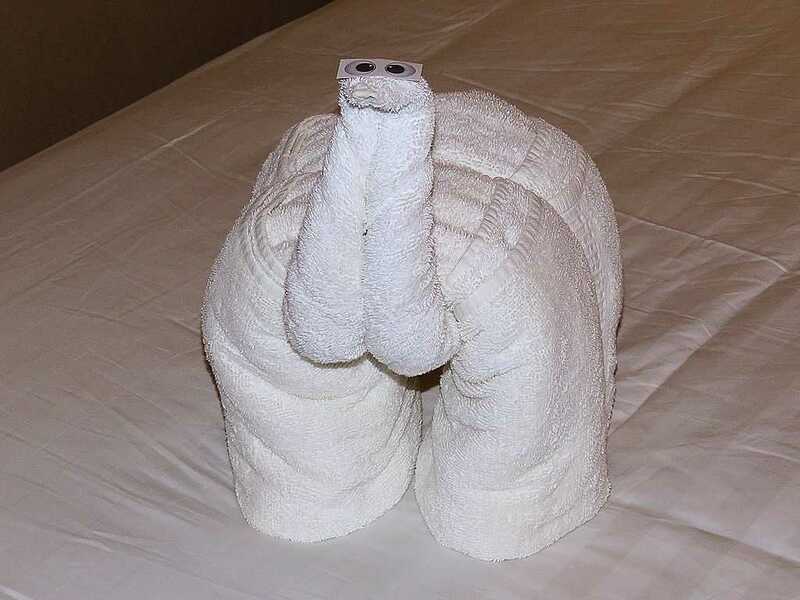 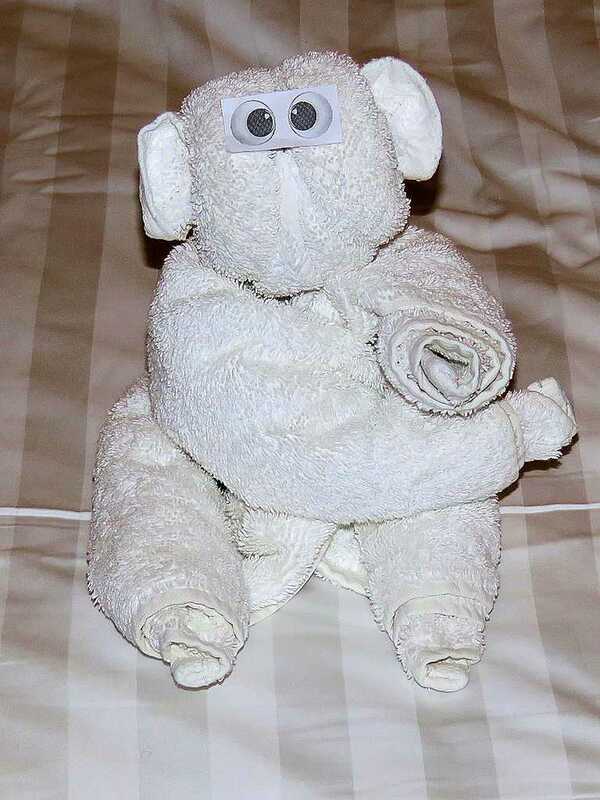 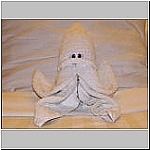 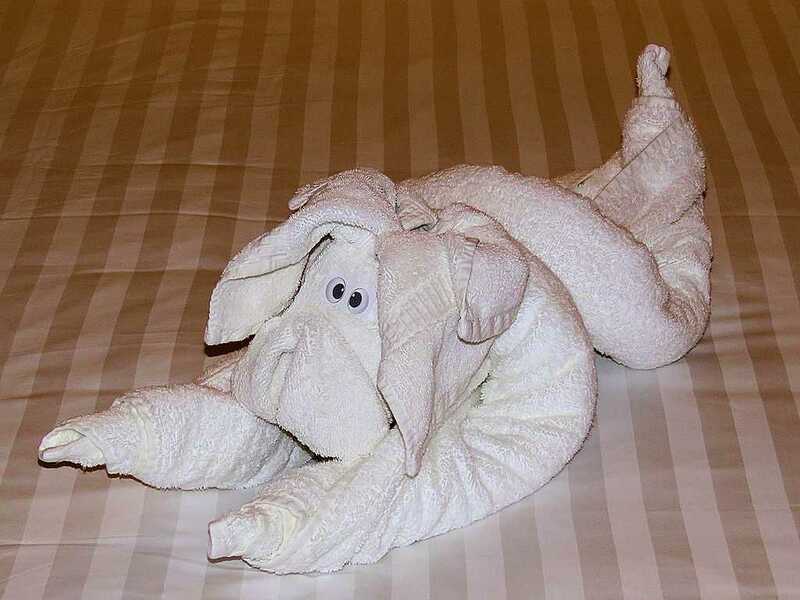 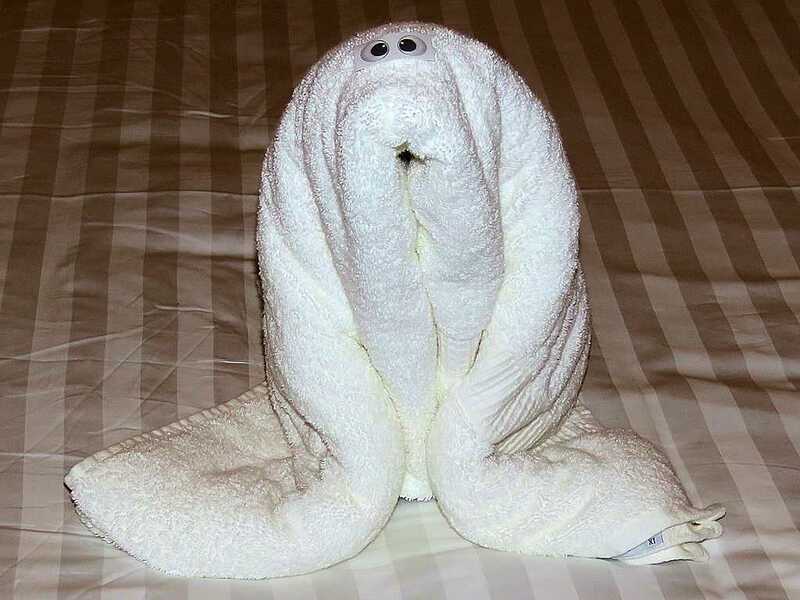 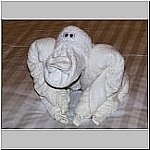 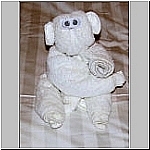 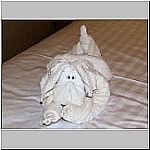 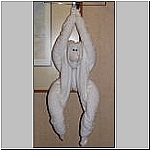 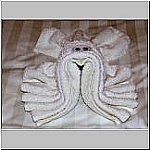 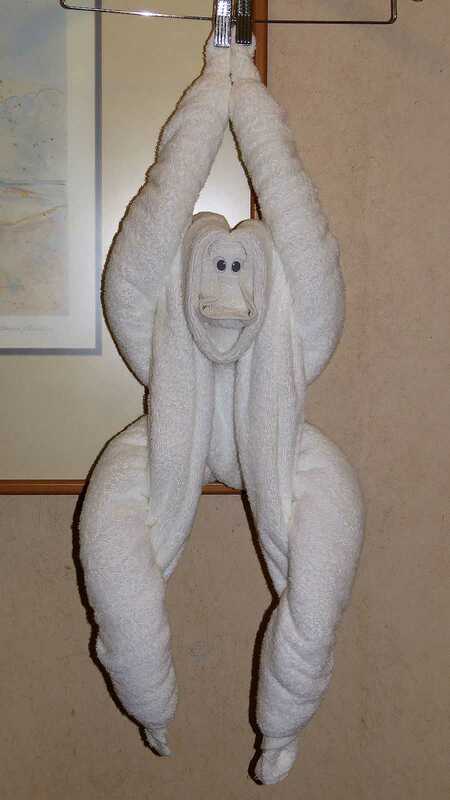 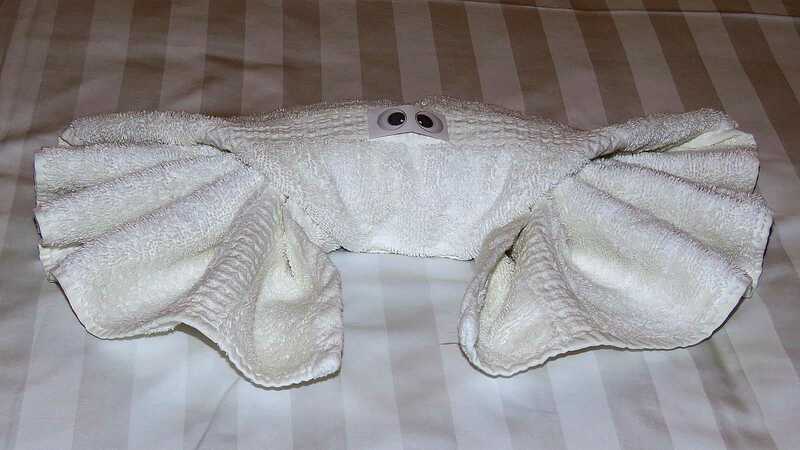 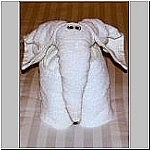 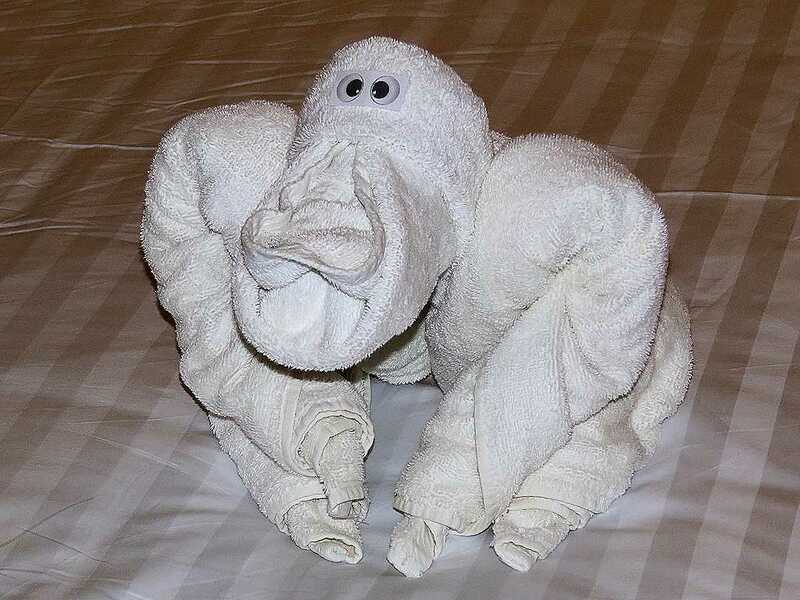 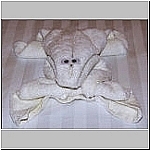 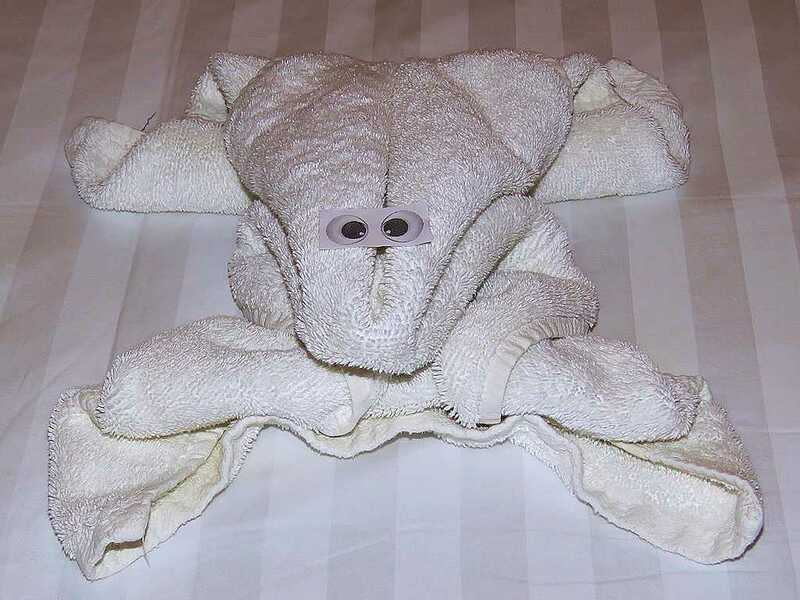 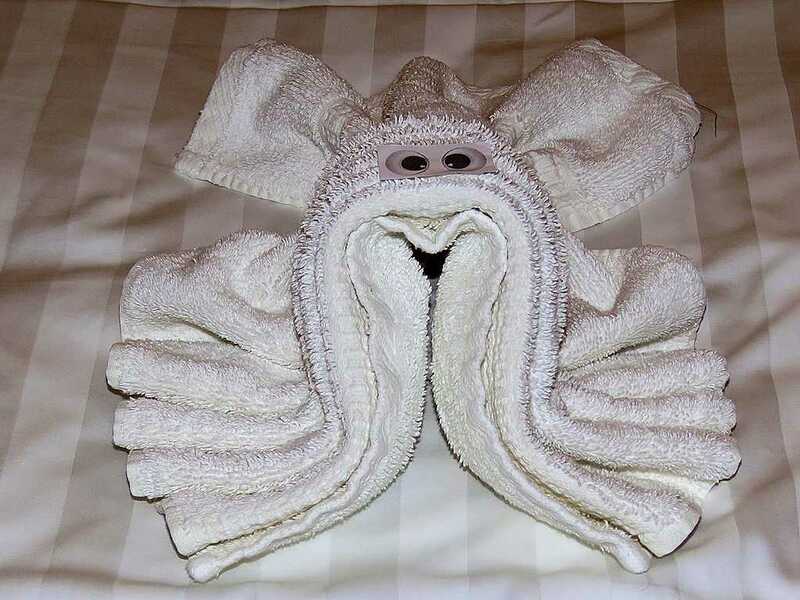 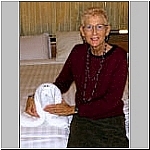 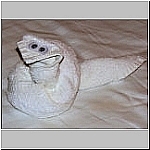 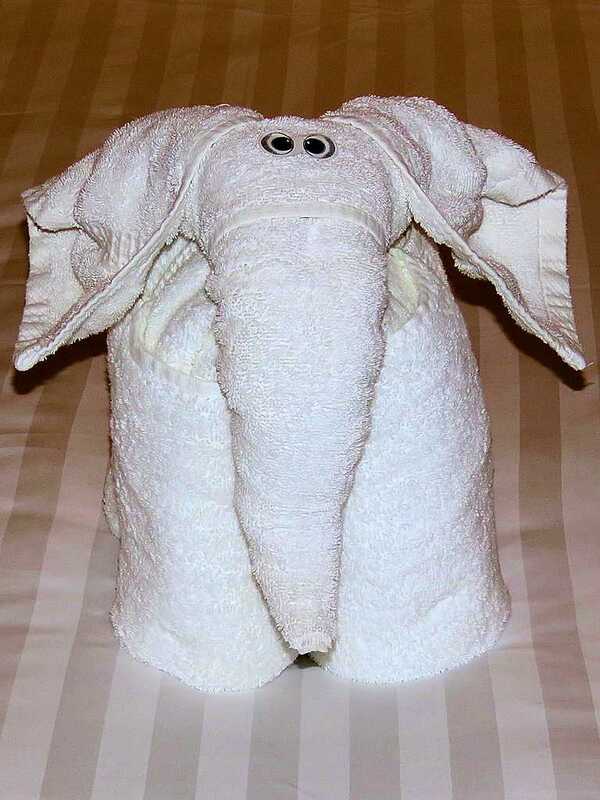 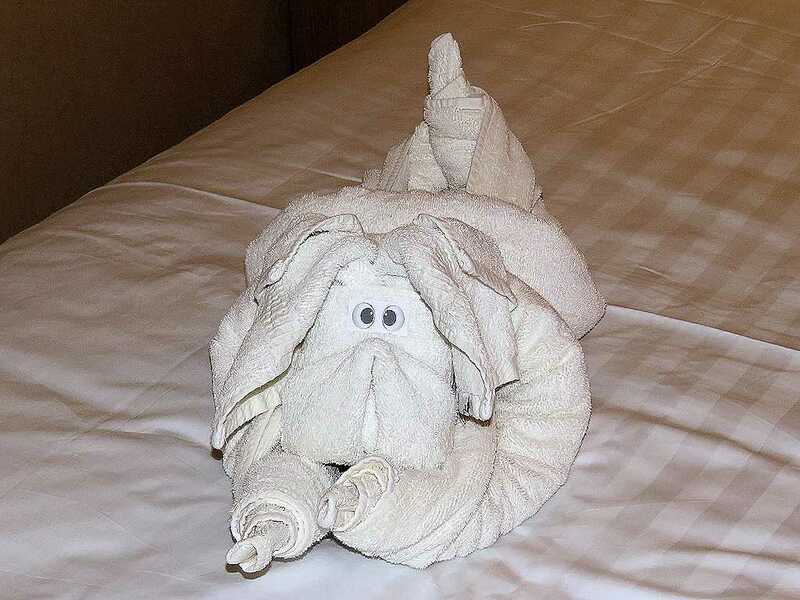 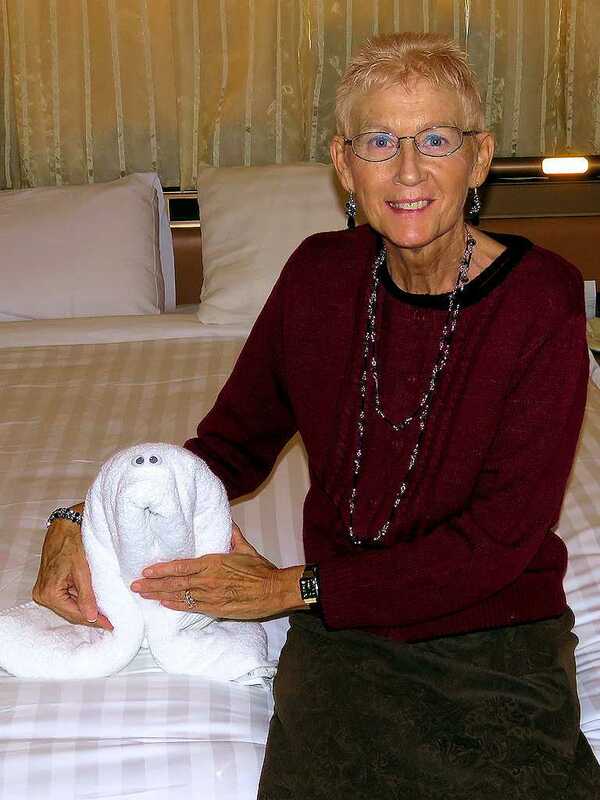 We found one of these "towel animals" in our room each night after dinner. 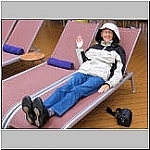 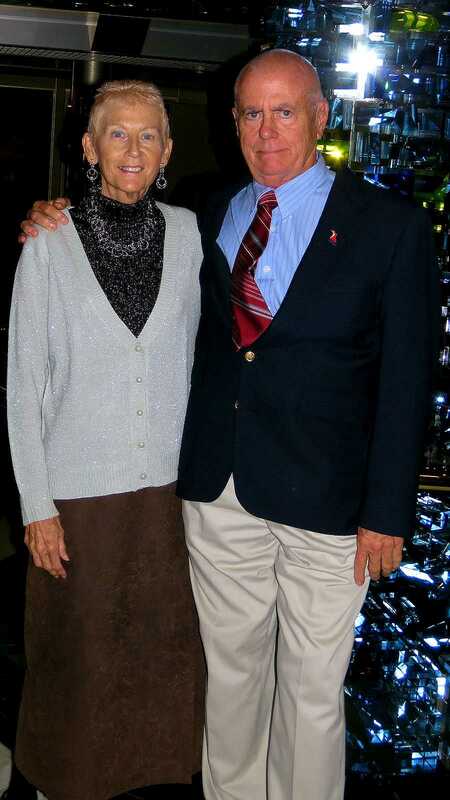 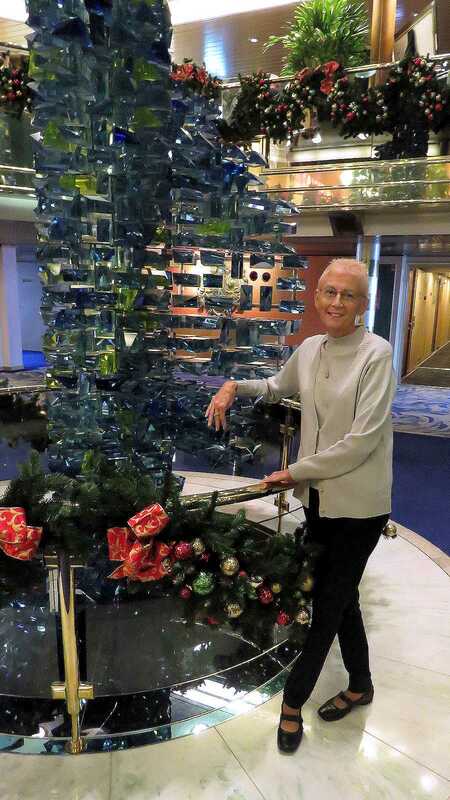 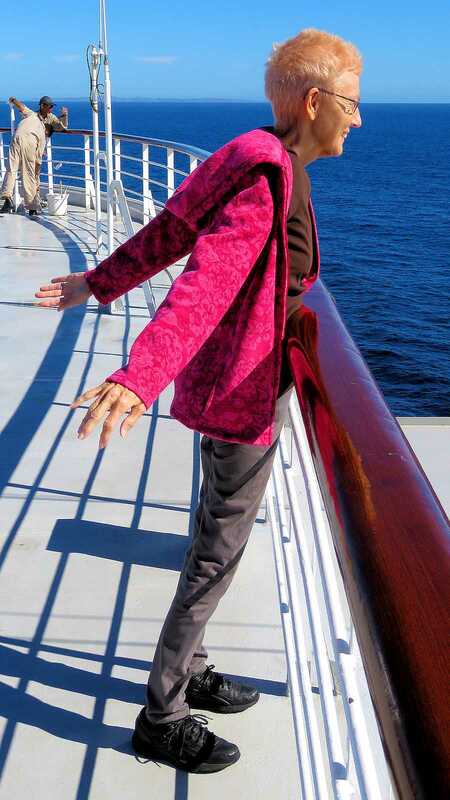 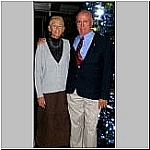 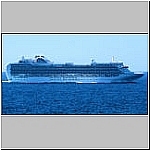 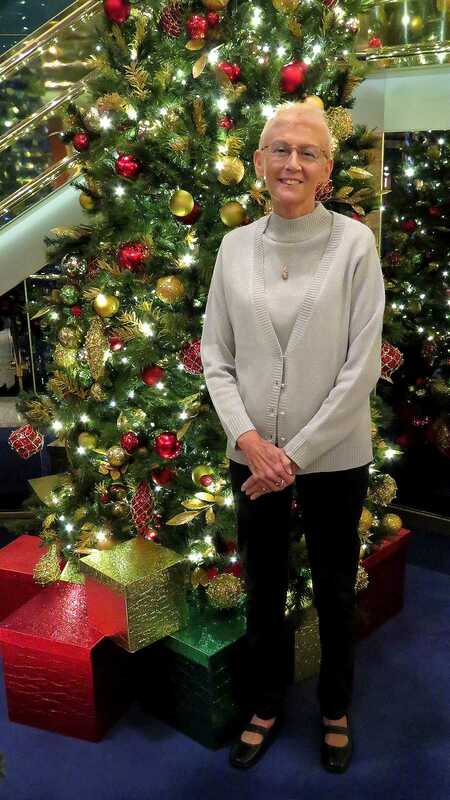 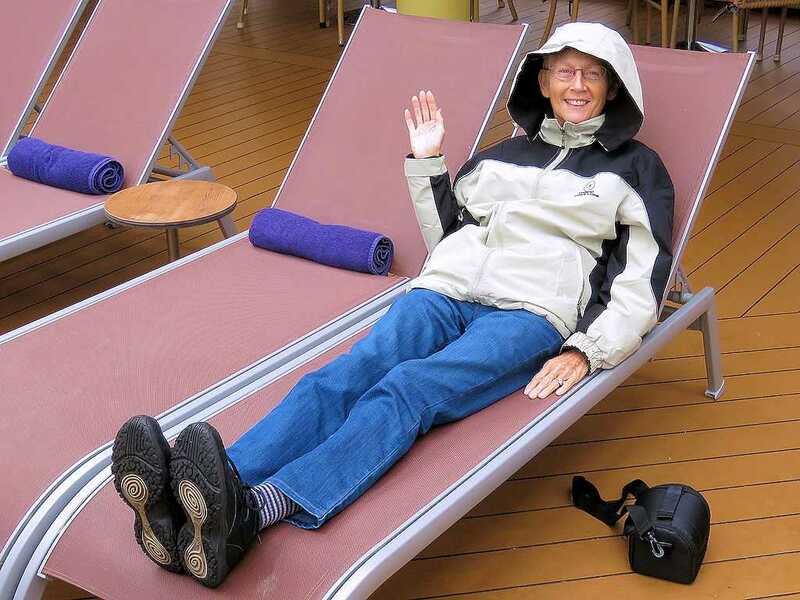 The last day of our cruise.